en marketing: segmentacion del mercado y posicionamiento en un nicho. That unexplored world was the mechanics of the human brain. Pavlov had noticed, in his research on the digestive system of dogs, that they drooled as soon as they saw the white lab coats of the people who fed them. They didn’t need to see, let alone taste, the food in order to react physically. Dogs naturally drooled when fed: that was, in Pavlov’s terms, an “unconditional” reflex. When they drooled in response to a sight or sound that was associated with food by mere happenstance, a “conditional reflex” (to a “conditional stimulus”) had been created. Pavlov had formulated a basic psychological principle—one that also applied to human beings—and discovered an objective way to measure how it worked. Skinner was enthralled. Two years after reading the Times Magazine piece, he attended a lecture that Pavlov delivered at Harvard and obtained a signed picture, which adorned his office wall for the rest of his life. Skinner and other behaviorists often spoke of their debt to Pavlov, particularly to his view that free will was an illusion, and that the study of human behavior could be reduced to the analysis of observable, quantifiable events and actions. Pavlov is perhaps best known for introducing the idea of the conditioned reflex, although Todes notes that he never used that term. It was a bad translation of the Russian uslovnyi, or “conditional,” reflex. For Pavlov, the emphasis fell on the contingent, provisional nature of the association—which enlisted other reflexes he believed to be natural and unvarying. Drawing upon the brain science of the day, Pavlov understood conditional reflexes to involve a connection between a point in the brain’s subcortex, which supported instincts, and a point in its cortex, where associations were built. Such conjectures about brain circuitry were anathema to the behaviorists, who were inclined to view the mind as a black box. Nothing mattered, in their view, that could not be observed and measured. Pavlov never subscribed to that theory, or shared their disregard for subjective experience. He considered human psychology to be “one of the last secrets of life,” and hoped that rigorous scientific inquiry could illuminate “the mechanism and vital meaning of that which most occupied Man—our consciousness and its torments.” Of course, the inquiry had to start somewhere. Pavlov believed that it started with data, and he found that data in the saliva of dogs. 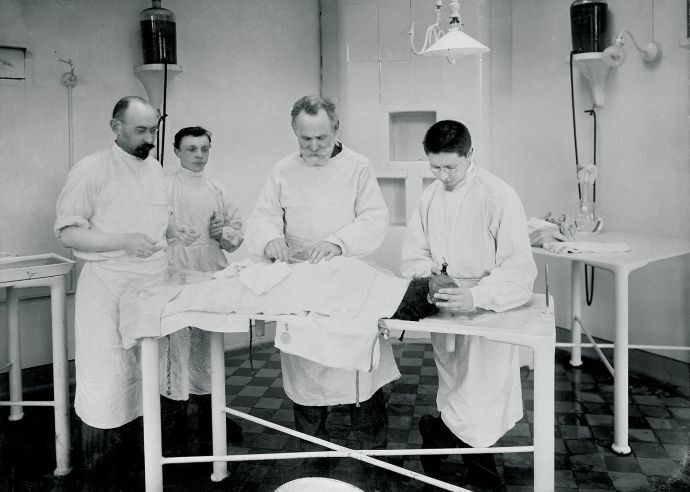 Pavlov’s research originally had little to do with psychology; it focussed on the ways in which eating excited salivary, gastric, and pancreatic secretions. To do that, he developed a system of “sham” feeding. Pavlov would remove a dog’s esophagus and create an opening, a fistula, in the animal’s throat, so that, no matter how much the dog ate, the food would fall out and never make it to the stomach. By creating additional fistulas along the digestive system and collecting the various secretions, he could measure their quantity and chemical properties in great detail. That research won him the 1904 Nobel Prize in Physiology or Medicine. But a dog’s drool turned out to be even more meaningful than he had first imagined: it pointed to a new way to study the mind, learning, and human behavior. Washington, DC, November 9, 2014 – The iconic fall of the Berlin Wall 25 years ago today shocked international leaders from Washington to Moscow, London to Warsaw, as East German crowds took advantage of Communist Party fumbles to break down the Cold War's most symbolic barrier, according to formerly secret documents from Soviet, German, U.S., Czechoslovak and Hungarian files posted today by the National Security Archive at George Washington University (www.nsarchive.org). The historic events of the night of November 9, 1989 came about from accident and contingency, rather than conspiracy or strategy, according to the documents. Crowds of East Berliners, already conditioned by months of refugee flights to the West and weeks of peaceful mass protests in cities like Leipzig, seized on media reports of immediate changes in travel restrictions — based on a bumbled briefing by a Politburo member, Gunter Schabowski — and inundated the Wall's checkpoints demanding passage. Television coverage of the first crossing that yielded to the self-fulfilling media prophecy then created a multiplier effect and more crowds came, ultimately to dance on the Wall. The documents show that the actual collapse of the Wall began with Hungarian Communist reformers who proposed in early 1989 to open their borders to the West, while seeking particularly West German foreign investment to solve Hungary's economic crisis. Hungarian Communist leaders checked in with Soviet general secretary Mikhail Gorbachev in March 1989, letting him know they planned to take down the barbed wire; and Gorbachev — true to his "common European home" rhetoric — responded only that "we have a strict regime on our borders, but we are also becoming more open." (Document 1) The Hungarian decision sparked a stream and then a flood of East German refugees. line the streets of Prague. Gorbachev himself unintentionally gave a signal that the Wall could fall in his press conference on June 15, 1989 after a successful visit to West Germany, where in response to a question about the Wall, he said that "nothing [was] permanent under the Moon" and connected German rapprochement to the building of the common European home. In fact, his conversations with Kohl and other members of the West German government created a real breakthrough in Soviet-FRG relations, which would stand Kohl in good stead in the difficult reunification talks during the next year (Document 2). Gorbachev especially reinforced the theme of European unity in his speech to the European Parliament in Strasbourg where he presented his vision of the common European home on July 7, 1989. After speaking about an essentially united Europe based on universal human values, it would be hard to argue in favor of its continued division. By August 1989, the Hungarian-initiated refugee crisis had become so acute that the West German embassy in Budapest had to shut down, unable to handle the hundreds of East Germans camped out there for visas. On August 19, Hungarian reformers even hosted a "Pan-European picnic" near the Austrian border, after which some 300 East Germans high-tailed across the former Iron Curtain. The subsequent negotiations on August 25, 1989 between Hungarian Communist leaders with West German chancellor Helmut Kohl and foreign minister Hans-Dietrich Genscher show the Hungarian calculation that only the deutschmark could save them, and by mid-September the Hungarians lifted all East-West controls (Document 3). 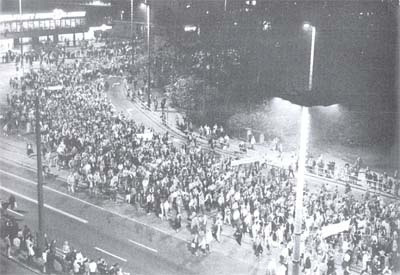 East German demonstrators take to the streets in Leipzig, October 9, 1989. Other world leaders were not at all eager for the Wall to fall, notably the British prime minister, Margaret Thatcher, who told Gorbachev on September 23 to ignore those NATO communiqués about German unification, that even her buddy, U.S. president George H. W. Bush opposed that kind of change (she would be wrong, when the time came. See document 4). As Gorbachev later commented to his Politburo on November 3, the West did not want German unification, but it wanted to prevent it "with our hands, to push us against the FRG" so as to head off any future Soviet-German cooperation — but Gorbachev believed European integration was the ultimate solution to Soviet economic problems (Document 6). 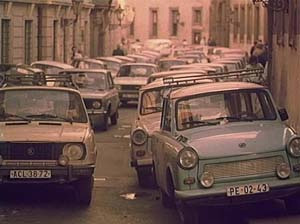 Czechoslovakia was closer to East Germany than Hungary was, and after Hungary opened its gates, Prague quickly filled with East Germans willing to dump their Trabant cars in the streets for a chance to clamber over an embassy wall and flee to the West. By November 8, Prague had become so choked with East Germans that the hard-line Czechoslovak Communist Party's Central Committee made a demarche to East Berlin demanding they open their borders — a moment of pressure from fellow Communists that played a key role in the East German party's decision to announce revised travel regulations the next day (Document 7). The draft regulations were full of temporizing language and largely intended to let off steam while kicking the emigrant problem down the road. East Germans would have to apply for visas, and the vast majority who lacked passports would have to wait even longer for those. But the presentation of the new regulations came at the very end of a botched press conference from 6 to 7 p.m. Berlin time on November 9 by SED Politburo member Gunter Schabowski, who did not know the back story, the hedges, the limitations meant by the drafters of the documents. Visibly rattled from the shouted questions about travel and the Wall, Schabowski read from his briefing papers the words "immediately, without delay" when asked about the timing of the changes that would allow any East German to emigrate (Document 9). 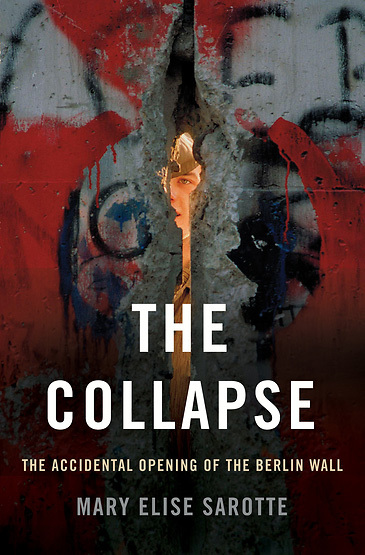 The Collapse: The Accidental Opening of the Berlin Wall, by Mary Elise Sarotte. Television news and the wire services as well promptly announced the opening of the borders, and in a kind of self-fulfilling prophecy reinforced by TV coverage, crowds of East Germans massed at the border crossings and ultimately persuaded the senior official at the largest inner-city checkpoint at Bornholmer Strasse to open the gates (a story told in fresh detail by Mary Elise Sarotte in her new book, The Collapse: The Accidental Opening of the Berlin Wall). Once Bornholmer opened, other crossings soon followed; and within hours, people were chipping off souvenir fragments from the concrete panels formerly surrounded by a "death strip" in which earlier Wall jumpers had died. So unexpected was the Wall opening that Helmut Kohl himself was not even in the country. Instead, the West German chancellor had gone to Warsaw to meet the new Solidarity leaders of that country, and work out some long-standing Polish-German tensions. The transcript of Kohl's discussions with Lech Walesa show the Polish leader complaining that events in East Germany were simply moving too fast, and even predicting, presciently, that the Wall would fall in a week or two — at which point Kohl would have no time (or money) for poor Poland (Document 8). But at Gorbachev's side, his foreign policy adviser Anatoly Chernyaev in private let loose with one of the very few high-level expressions of real joy about the fall of the Berlin Wall. Chernyaev's diary entry for November 10, 1989 (Document 12) contains the coda for the demise of the Iron Curtain, "the end of Yalta" and the Stalinist system, and a good thing, about time, in Chernyaev's remarkable view. Vladimir Putin has described the collapse of the Soviet Union as the greatest catastrophe of the 20th Century. Western leaders have been quick to brand this as old-fashioned thinking. Their condescension sounds eerily like Neville Chamberlain’s remark that Hitler “missed the bus” in the Czech crisis. The “bus” the Russians have missed is not failure to accept the breakup of the Soviet Empire. Rather, the great “catastrophe” of the 20th Century was its very existence. Behind this difference lies the amnesia that enables President Putin’s adventurism in the Ukraine and his determination to put the wheels back on a malevolent and lethal machine. In 1989, the entire world witnessed the defeat of the Soviet Union across every front: ideology, economics, technology, and moral philosophy. This purported “catastrophe” freed enslaved satellite states from the terror and autocracy exported by the Bolsheviks across Eastern Europe. Initially the Russian people joined with central and eastern Europeans in shedding the corporeal and spiritual chains of totalitarianism. But the moment proved fleeting when the Russians looked into the abyss and recoiled. “Soviet Times” are comfortably moored far away from anyone’s experience or understanding, like a mysterious civilization that melted into the Siberian forests, leaving behind no people, artifacts, or runes. The disastrous policies and practices, the systematized cruelties, the twisted logic, and the murderous paranoia are lodged in some other universe of the mind, providing no leaven for thought or opinion, and certainly no instinct to examine with skepticism the leadership of Russia Redux. Leningrad has reverted back to St. Petersburg to get the stink off of its name. Yet Lenin’s corpse still molders on display in Red Square. The Communist Party is now a maligned splinter group, but Putin’s United Russia Party is led by the nomenklatura of the old CPSU. Artwork confiscated by the Bolsheviks is still hanging in the Winter Palace innocuously labeled “from the collection of” the victim, while masterpieces looted in World War II are proudly displayed as glorious battle trophies. GUM department store in Red Square is now a luxury mall that would make a Kardashian blush, but the missile parade and goosestepping still headline the May Day parade. One looks in vain for Russian literature or journalism exposing the predations of the Communist regime during “Soviet Times.” There is no scholarship that draws lessons from the “success” of the Comintern and Stalin in infiltrating and purging foreign political parties, particularly Social Democrats and other home-grown leftists. There is no accounting of how many of the much vaunted 20 million Soviet dead in the “Great Patriotic War” fell at the hands of grossly incompetent generals, “state security organs,” well-armed commissars, and willfully blind apparatchiks. Asked what it was like to live under surveillance by the KGB during Soviet Times, Russians will insist that they personally had never been troubled. They have no stories about how the security system co-opted them to report on the “antisocial” activities and thoughts of schoolmates, coworkers, and neighbors. None of them was a member of the Communist Party; none spent youthful days in Komsomol or the Young Pioneers. No one in their families disappeared into the gulags, and no schoolmates died of head shots in the basement of the Lubyanka -- much less prepared transportation manifeststo the Kamchatka death camps, conducted midnight interrogations, or pulled the triggers on antisocial elements. If this degree of denial seems implausible, consider this item from ITAR/Izvestia. On April 30, as Russia was digesting the Crimea and roiling Ukraine, a deputy foreign minister denounced Western sanctions as “a revival of a system created in 1949 when Western countries essentially lowered an 'Iron Curtain', cutting off supplies of high-tech goods to the USSR and other countries." So that’s what Winston Churchill was referring to in his Westminster College speech. Such obliviousness to the postwar grab of Eastern Europe by the Red Army staggers the imagination. Yet it illuminates Russians’ persistence in denying and rewriting their history. It is the same attitude that is reflected in internal polls showing Russians are fervently behind the new aggressiveness of Putin’s regime. They have easily fallen back into the hands of the same bloodthirsty revanchists who ran the system in Soviet Times; indeed, they treat with indifference the ascendancy of a man whose entire career from KGB High School on is the embodiment of the very secrecy, paranoia, and megalomania that oiled the USSR. So long as Russians remain in denial of their antecedents they will be a belligerent and dangerous force in the world. It will be equivalent to what would have unfolded if the Allies had not insisted on “de-Nazification” of postwar Germany. Germans were not allowed to rebrand and reinstall the Gauleiters, SS commanders, Gestapo thugs, and Nazi party hacks as leaders of the new republic. Sixty years on, Germans are still called to account for newly discovered instances of Nazi cruelty and kleptomania and the shameful collaboration of industrialists, professors, jurists, politicians, and civil servants. Japan has faced the same reminders of its past wickedness. Like Germany, it has admirably restored itself and its people to the community of nations, but the reminders still come of their brutality in World War II. Efforts to attribute it to long-dead fanatics invariably fall on deaf ears. South Africa implemented Truth and Reconciliation procedures to bring to the surface the policies and programs of apartheid and racism. The reborn republic defied expectations of a reign of terror by insisting that reconciliation and the integrity of the process be paramount. When the USSR disintegrated, the Eastern European nations aggressively confronted their Communist past. 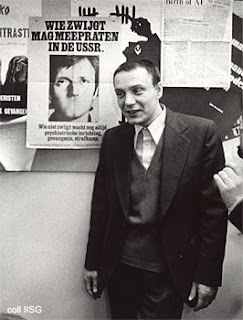 East Germans literally seized access to the notorious Stasi files, where ordinary citizens read what their government had done to them and who among them regularly reported on “suspicious” activities of friends and colleagues. Similar stories played out in all the Baltic and Central European States. These painful experiences sharply lessen fears of the people returning to the bad old days or the bad old actors. By contrast, the Russian people today may be fairly compared with Germans after the “Great War.” They were never forced to confront the implications of their very culture losing a titanic clash with the democracies. A generation later, Germany was back on the path to world war. So too the restored states of the Confederacy refused to examine the social constructs that had created and fostered the evils of slavery, the planter aristocracy, and the Civil War. The South truly “rose again,” but in the hands of the same malevolent forces of racism and resentment. "I sleep well. 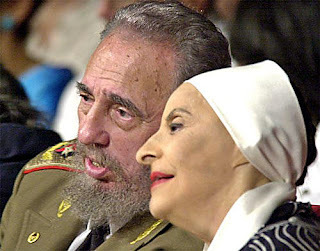 It's the politicians who are to blame for failing to come to an agreement and resorting to violence," he said in 2007. Kalashnikov died in a hospital in Izhevsk, the capital of the Udmurtia republic where he lived, said Viktor Chulkov, a spokesman for the republic's president. He did not give a cause of death. Kalashnikov had been hospitalized for the past month with unspecified health problems. The AK-47 — "Avtomat Kalashnikov" and the year it went into production — is the world's most popular firearm, favored by guerrillas, terrorists and the soldiers of many armies. An estimated 100 million guns are spread worldwide. Though it isn't especially accurate, its ruggedness and simplicity are exemplary: it performs in sandy or wet conditions that jam more sophisticated weapons such as the U.S. M-16. "During the Vietnam war, American soldiers would throw away their M-16s to grab AK-47s and bullets for it from dead Vietnamese soldiers," Kalashnikov said in July 2007 at a ceremony marking the rifle's 60th anniversary. The weapon's suitability for jungle and desert fighting made it nearly ideal for the Third World insurgents backed by the Soviet Union, and Moscow not only distributed the AK-47 widely but also licensed its production in some 30 other countries. The gun's status among revolutionaries and national-liberation struggles is enshrined on the flag of Mozambique. The moment that firmly set his course was in the 1941 battle of Bryansk against Nazi forces, when a shell hit his tank. Recovering from wounds in the hospital, Kalashnikov brooded about the superior automatic rifles he'd seen the Nazis deploy; his rough ideas and revisions bore fruit five years later. "Blame the Nazi Germans for making me become a gun designer," said Kalashnikov. "I always wanted to construct agricultural machinery." In 2007, President Vladimir Putin praised him, saying "The Kalashnikov rifle is a symbol of the creative genius of our people." 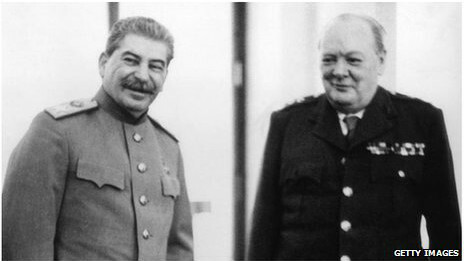 Over his career, he was decorated with numerous honors, including the Hero of Socialist Labor and Order of Lenin and Stalin Prize. But because his invention was never patented, he didn't get rich off royalties. "At that time in our country patenting inventions wasn't an issue. We worked for Socialist society, for the good of the people, which I never regret," he once said. "After the collapse of the great and mighty Soviet Union so much crap has been imposed on us, especially on the younger generation," he said. "I wrote six books to help them find their way in life." He said he was proud of his bronze bust installed in his native village of Kurya in the Siberian region of Altai. He said newlyweds bring flowers to the bust. "They whisper 'Uncle Misha, wish us happiness and healthy kids,'" he said. "What other gun designer can boast of that?" 1. He aspired to be a poet. As a boy, Kalashnikov loved machinery but also had an affinity for poetry. He wrote poetry all his life, along with six books. 2. He once hitchhiked home to Russia. Kalashnikov was born in Kurya, Russia, but his family was deported to Siberia under the Stalin regime when he was a child. He left them to return to Kurya after the seventh grade, hitch-hiking nearly 1,000 kilometers, or more than 600 miles. 3. His son is also an arms dealer. Kalashnikov had four children with his engineer wife, Ekaterina Viktorovna Moiseyeva. Their youngest son, Victor, is a prominent small arms dealer who invented the PP-19 Bizon submachine gun. 4. He was injured in the military. Kalashnikov joined the military at 19 and served in the Russian tank division, where he invented improvements to the tanks. When he was injured by the Nazis in the Battle of Bryansk, he began working on weapons creation throughout his recovery. 5. The AK-47 is named after him. Kalashnikov’s signature invention, the AK-47 stands for “Avtomat Kalashnikov.” Avtomat is Russian for “automatic,” and 1947 was the year he invented it at age 28. 8. He was a hunter. Kalashnikov took up hunting with his father to feed his family. He remained an avid hunter for the rest of his life, including a yearly moose hunting trip up into his 90s. 9. He had a big family. Kalashnikov was the 17th of 19 children born to his peasant parents. Only eight children survived to adulthood, and at age 6, Kalashnikov nearly died of illness himself. MOSCOW — A Soviet war veteran reported missing in action during fighting in Afghanistan 33 years ago has been found living as a local healer in the province of Herat, news agency Ria reported. The soldier, who was rescued by Afghans after being wounded in the first months after the Soviet Union's invasion in 1979, was tracked down by a Moscow-based group of war veterans. A native of the former Soviet Central Asian state of Uzbekistan, he now goes by the name of Sheikh Abdullah and has adopted the local dress and profession of the healer who nursed him back to health. The deputy head of the Afghan war veterans' committee said Abdullah, whose given name is Bakhretdin Khakimov, mostly had forgotten the Russian language and never tried to contact his relatives after suffering severe head trauma in the fighting. Alexander Lavrentyev, who met with Abdullah in Herat last month, said the veteran, who was 20 when he went missing, still bore the scars of his injury. His face is creased by a nervous tic and his hand and shoulder shake. "He was just happy he survived,'' Lavrentyev was quoted by Ria as saying at a presser in Moscow on Monday. The committee says it has found 29 of 264 soldiers still listed as missing from the bloody decade-long conflict. It said seven of those it contacted chose to stay in Afghanistan. Some 15,000 Soviet troops were killed in the fighting that followed the Soviet Union's incursion to support a communist vassal government in Kabul against Islamist mujahideen fighters armed by the United States. Yesterday, on Sunday, December 30, Vladimir Bukovsky – writer, scientist, human rights campaigner, and one of the founders of the dissident movement in the USSR – celebrated his 70th birthday. IMR Senior Policy Advisor Vladimir Kara-Murza recalls the milestones in Bukovsky’s life – and urges the present-day Russian opposition to heed his advice. Vladimir Bukovsky was one of the organizers of the unofficial poetry readings on Moscow’s Mayakovsky Square, the birthplace of the Soviet dissident movement. Vladimir Bukovsky paid for his refusal to go along with the regime’s lies with 12 years in prisons, labor camps, and “special psychiatric hospitals.” Not once did he admit his guilt, ask for clemency, disown his words, or betray his friends. “We fought desperately against this regime of scoundrels. We were a handful of unarmed people in the face of a mighty state with the world’s most monstrous machine of repression. And we won. The regime had to retreat. And even in prisons we proved too dangerous for them.” (Vladimir Bukovsky, To Build a Castle) On December 18, 1976, a handcuffed Bukovsky was driven to Chkalovsky military airfield and, accompanied by a convoy from the KGB’s elite Alpha unit (that was its first operation), was flown to Zurich’s international airport. Communist Party Central Committee documents referred to this as “measures relating to the liberation of Comrade L. Corvalan1.” In the end, the regime was unable to defeat its enemy inside the country. In the early 1990s, Vladimir Bukovsky and Member of Parliament Galina Starovoitova tried to convince the Russian leadership to conduct a trial of the Communist regime and the KGB in order to help the country comprehend its past and avoid repeating it. Today, Bukovsky is not retiring or leaving public life – and his upcoming 70th birthday will do nothing to change that. His experience in fighting the KGB system is too relevant; his advice too valuable; his standing among the leaders and supporters of the present-day Russian opposition too high. During the frozen (in all senses of the word) winter of 2007, at the height of Putin’s power, Bukovsky was nominated for president by the democratic opposition as a symbol of moral protest. The line of people wishing to sign his nomination papers extended for seven hours; the Sakharov Center could not accommodate everyone, and people had to wait outside in Moscow’s freezing temperatures. In December 2007, Vladimir Bukovsky (center) was officially nominated for president of Russia by an assembly of voters in Moscow. The Central Electoral Commission headed by Vladimir Churov denied him access to the ballot. 1 Vladimir Bukovsky was exchanged for Chilean Communist Party leader Luis Corvalan, who had been jailed by General Augusto Pinochet. There are few people like Vladimir Bukovsky in any society – let alone Russian society, which has been wrecked by decades of Soviet dictatorship, and by 13 years of Putin’s cynical authoritarianism. It is likely that the coming years will bring significant changes to Russia. During this critical period, Bukovsky’s words will be very important. This time, they must be heard.